Avid gym goers crave the designated cheat meal. When it comes to food, it’s certainly human nature to have the urge to let loose every now and then. These cravings come in different capacities for each of us. Some can have that ice cream cone once a week or couple slices of pizza and stop there. Others go big or go home. In the long run, the cheat meal can be set up to either help or hurt you on your fitness journey. The “cheat” is a tricky concept. We naturally label foods “good” or “bad”. Cheat meals typically revolve around “bad” choices, making the element of guilt arise. We can judge ourselves harshly. We might feel deprived or feel like the “bad” food has been earned. Extremes can also be a problem. Having not had pizza for a long duration, one might overeat feeling like the opportunity wont’ arise again any time soon. As a result, one whole pizza disappears in one sitting. Not everyone can turn down available food left in front of them. 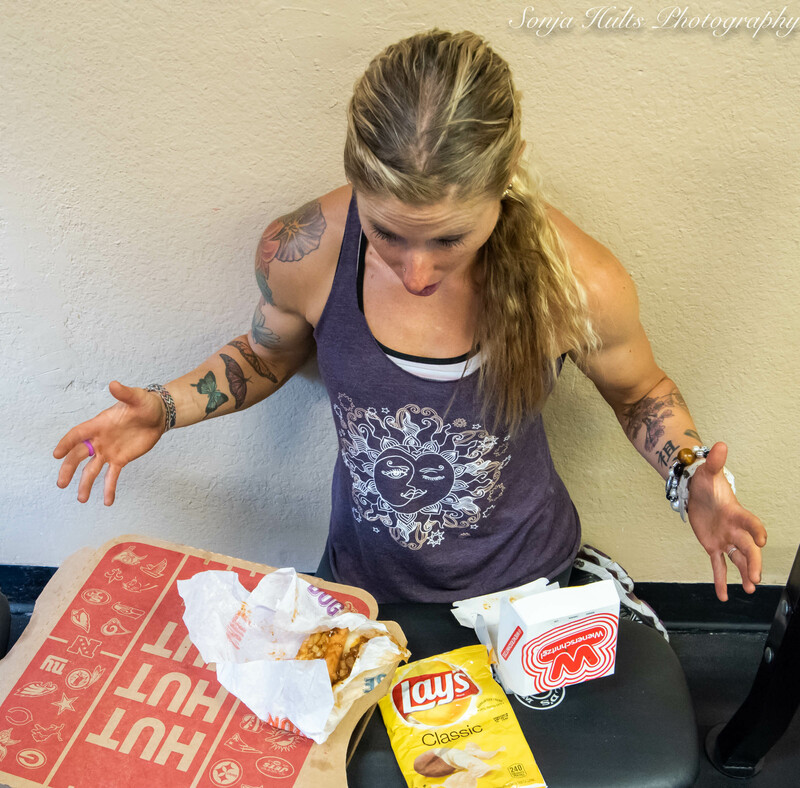 For some, the cheat meal has become a total cheat day. This self-allowance has turned into snacks, drinks, and large meals that are all “bad.” Some are not able to recover from this cheat and now the day has become a week or longer of poor meals. Junk food is addictive. Herein lies the problem — good old self control. One actual serving size of many foods is just a tease, especially with a cheat meal that entices you to eat a lot. The belt buckle doesn’t always know what’s good for it until it’s too late. A cheat meal can become a binge and suddenly 5,000 calories have quickly accumulated. These high fat foods don’t contain ingredients conducive to health. Do understand that a cheat meal is not mandatory when following a diet or exercise plan. For some reason, doing all “good” can be considered “bad.” Eating is a very personalized matter. Some say the cheat provides longevity. Feeling like all you hear is “no” all the time can lead to resistance. The rebellion comes out. Maybe sticking to the diet plan is more likely when there are rewards along the way. A good strategy is to plan the cheat. Not just in imagining the amazing food in your head, but considering the day of the cheat, what you are doing, activity level, and cheat choice. Preparation is key. Earn the cheat. Be sure to meet your goals with exercise. If you are lax in your meal plan that week, have you earned the true cheat? Also, don’t go for the “bad” when you are super hungry. Making food choices on an empty stomach rarely results in a good option. You will over eat and the cheat will backfire on your goals. You don’t have to pig out. You can cheat in moderation. The cheat is definitely built up in our head and has a social exercise stigma. Think about the difference between want and need. Wanting “bad” food is normal as most processed, high sugar, high calorie, high fat foods, have this effect. Needing “bad” foods is an individual decision. The Lifestyle of the FIT and Healthy knows that In a world that gives us the freedom to make choices, the cheat meal is one of choices to consider as we strive to reach our goals. Food is on our minds countless times per day, so don’t add to the complexity of your weaknesses. Cheat foods are “sometimes” foods. Be careful, rarely do we minimize triggers that cause us pleasure. We do more of what we like, and cheaters don’t always prosper. If you have a cheat day, how long does it take for your body to recover from this and reset back to your pre-cheat diet?